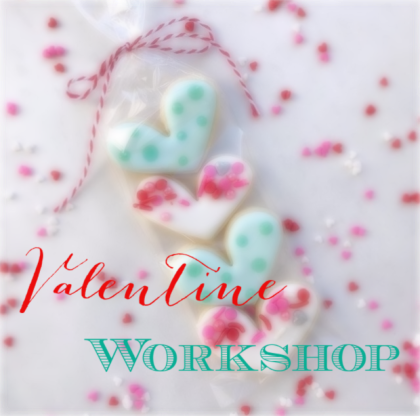 Join us for our sweet Valentine cookie decorating class! Little or no experience needed. You will be given step by step instruction on how to decorate six cookies with royal icing. And no worries, all decorating materials and six yummy sugar cookies are included! Any and all questions, any changes for the date of your class or be put on the waiting list for any sold out classes, please contact Myrna directly at myrnasugarworkscookies@gmail.com. The folks at the Holiday Inn Express will not have details about the workshop. 2. You will be sent an invoice via PayPal to pay and secure your spot.